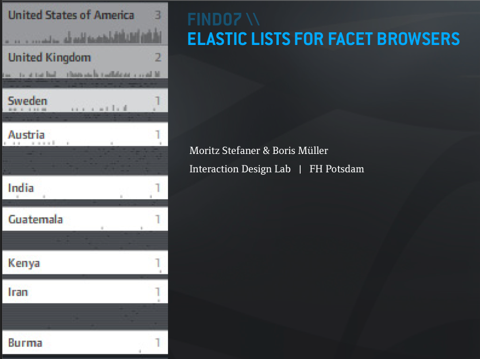 Much too late, but better than never: I attended the lovely FIND07 workshop in Regensburg, presenting my work on the Elastic Lists. In the beginning, I felt a bit weird at the conference, being the only designer in sight, but the workshop itself was pretty inspiring and maybe also fruitful for the future. You can find my slides here. The change blindness video was copied from here.